Oye LENA was founded by Stefanie Van Erps and Valérie Demol in 2012. Valérie used to live in Cusco and helped Stefanie to found the project. Valérie returned to Belgium in February 2014. There, she supported the project for two years, after which she decided to spend more time with her family and to take up new challenges. 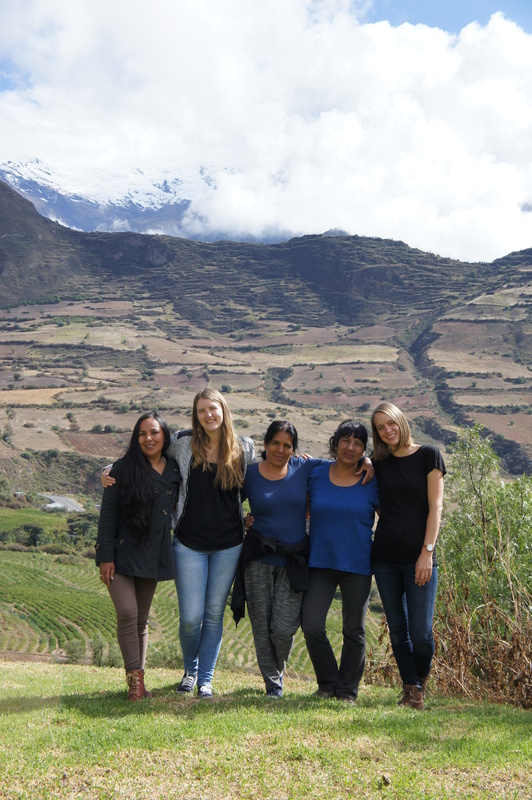 Stefanie is the project manager in Peru and leads the project in Curahuasi as well as in Belgium with the support of Sara Defoor (class coordinator), Diofe Garcia Delgado (cook), Susi Garcia Delgado (teacher & parental contact person), ‘Mayra’ Ivonne Ruiz Ponce (driver & teacher), a team of volunteers and a ‘Belgian working group’. Besides these permanent employees, there is always a volunteer responsible who is responsible for the reception, guidance, and evaluation of volunteers and students during their stay at Oye LENA. Stefanie Van Erps studied to become a primary school teacher at the Erasmus University College in Jette, Belgium. She has been teaching since January 2007, mainly in special primary education for children with speech and language problems and children with autistic spectrum disorder. She combined work and study in 2009 and obtained an additional Bachelor’s degree in Special Education. After a couple of years working in Belgium, Stefanie decided to go and teach abroad. She followed a postgraduate course on North-South Relations and Development Cooperation in Kortrijk. Afterwards, she went to Peru to work in a school project named Urpi Sonqocha located in Cusco. That is where she met Gilder Anaya Delgado, her future husband. She discovered the town of Curahuasi, south of Machu Picchu, where the current project took form. Sara Defoor studied Pedagogical science. In August 2015, she came for the first time to Oye LENA for an internship of 6 months and in 2016 she returned as a volunteer for a few months. Since February 2017, Sara works permanently for the project and lives with her husband, Eddy Rios Delgado, in Curahuasi. The Belgian working group was founded in 2014 by a group of ex-volunteers. They wanted to keep on supporting Oye LENA. They make publicity, look for sponsors and provide information to future volunteers, like you. There are several people you can contact if you want more information about the project. They can tell you more about their volunteering experiences, about what you should expect, what you should and should not pack, etc.